I used to be one of those parents who felt immediate fear at the first sign of a fever. When my youngest one became sick, she would automatically vomit any type of liquid medicine so with her, I was a bit more fearful as I would have to take her to the hospital if her fever didn't break or became too high since I had no remedy for her. My two older children had no problems with fever reducers and finally, my youngest can stand liquid medicine so I no longer have to worry. I think it was a year ago when I made the switch to Children's Advil® from other brands. I trusted Advil®'s brand and quality and to this day, I still purchase it. My children don't get many fevers luckily but my eight year old who suffers from epilepsy and migraines, takes Children's Advil® for headaches and it usually works unless it's a full blown migraine. When I was provided the opportunity to post about Children's Advil®, I had no problems as I had posted in the past because I believe in the brand. Although this time, I did receive a gift pack, it didn't influence my decision to post because as I stated, I have posted without compensation in the past. When I believe in a product, I like to blog about it. When I received the information on the surveys, I was surprised that nearly a quarter of parents (23%) admit to giving their children and over-the-counter medication at a lower dose to treat fevers which was really surprising to me. If you want to read more about the surveys along with some tips, just scroll down. 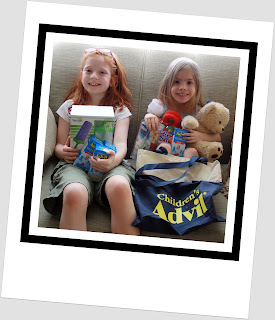 Check out Children's Advil on their website and Facebook. I can tell you that the girls were HAPPY to see this come in the mail! My little one grabbed the teddy bear and wasn't letting it go. Of course she has to share but they just love this little pack of fun! The pop cycle mold will come in handy since those are always nice to help when a child is feeling bad and doesn't want to drink. It was an amazing pack and I particularly loved the variety of Children's Advil I received even though I just stocked up on some. I will be sure to use it! According to these two new national surveys of parents and pediatricians from the makers of Children’s Advil®, more than half of all parents report feeling anxious, fearful or helpless when their child comes down with a fever so I know I wasn't alone. This is nothing new to the vast majority of pediatricians (94 percent) who believe that parents need more fever management education. In an effort to ease parents’ anxiety and minimize risks, Children’s Advil® has partnered with nationally recognized pediatrician, Alanna Levine, M.D., to introduce a fever relief program this cold and flu season to educate parents on common misperceptions and best practices when it comes to treating a child’s fever. · if you are concerned regarding your child’s health. 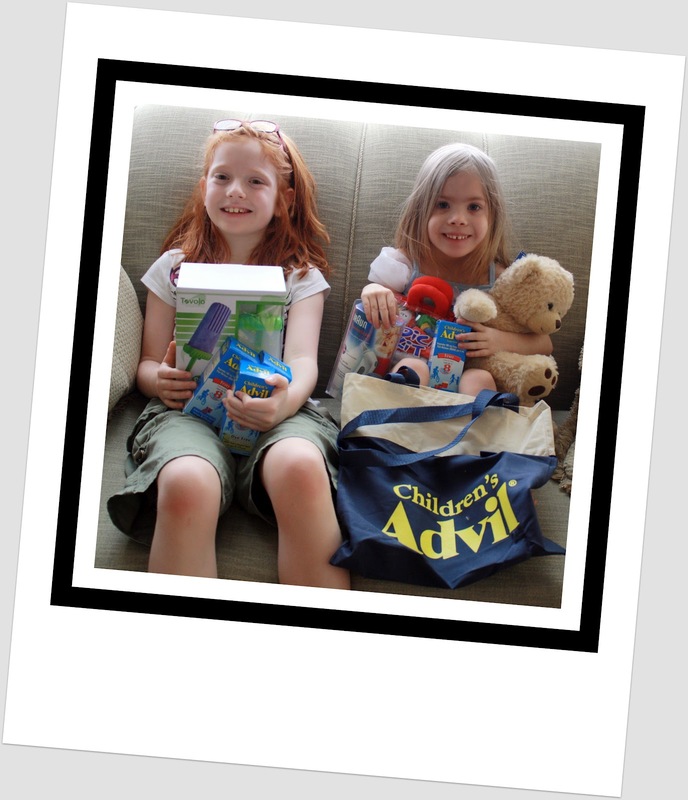 Disclosure: Thank you to Children’s Advil® for providing free product samples, the survey information, and gift pack.